The property boom is hitting Splitsville, as red-hot house prices make divorces and break-ups even messier. Residential property prices have risen so sharply in the past 12 months – up 13.1 per cent in Sydney, and 4.7 per cent in Melbourne – exes are being forced to find creative ways to keep a roof over their heads. Family lawyer Jacqueline Dawson says recent spikes in the market have contributed to more people deciding to continue living in the same house post-break-up. “Particularly in Sydney, we see more separations under the one roof … I think that’s to do with the cost of rehousing,” says Dawson, solicitor director at Sexton Family Law in Sydney. The housing boom has given warring parties even more to argue about, with valuations barely keeping pace with sale prices in some areas. Buying the other party’s share of the family home has slipped out of reach for many. Meanwhile, real estate agents and lawyers are reporting increased tensions over the timing and asking price of home sales, particularly for mid-range houses in suburbs that have experienced huge price hikes. 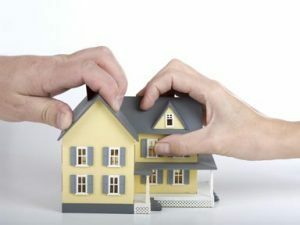 Some couples – particularly those with young children and strong ties to the local community – might even be dissuaded from splitting up because of the high cost of establishing two separate households. “In terms of what I see at the coalface, it’s changing the way people think about a settlement because of the increasing unaffordability of that house,” Dawson says. A recent New Zealand media report suggested divorcing spouses were deliberately delaying their settlements in order to cash in on soaring house prices. It cited NZ’s lowest divorce rate on record last year. Some former spouses were even demanding multiple valuations to maximise their payouts so they could afford to buy again. The latest Australian divorce statistics predate some of the most dramatic housing price hikes: the divorce rate fell by 4.6 per cent in 2013 to 2.1 people per 1000, compared to 2012 figures. Family lawyer Susan Pearson of Sydney firm Pearson Emerson Meyer says factors contributing to this decline include mandatory early counselling for couples with children, the extension of rights under the Family Law Act to de facto couples and the increasing number of people living together before marriage. In her view, while there may be some spouses who would seek to delay proceedings to take advantage of the rising property market, such manoeuvring is unnecessary because of delays in Australia’s court system. “It could take three years or more for a contested case to reach a final hearing and longer if one of the spouses is dissatisfied with the judge’s decision and there are grounds for an appeal,” Pearson says. Unlike in New Zealand, Australia also has in place a system to appoint an independent single expert to value real estate in a property settlement, dramatically reducing the role of adversarial experts. In practice, separating couples typically seek a valuation before commencing negotiations and then update the valuation for the final hearing. Simon Doak, senior sales agent at McGrath in Edgecliff in Sydney’s eastern suburbs, says clients in the process of splitting up are regularly surprised by how much their family home has grown in value. “They’ve often tried to buy each other out but the growth, particularly this year, means there’s too much of a gap,” Doak says. He has witnessed several relationship breakdowns where the former partners started out amicably, living under the same roof while going through the separation. Doak says disagreements over price make it hard for agents to arrange a quick sale. Does a 'Mistress' have rights to maintenance and property settlement? Both the applicant and respondent are parties to the proceeding. If a third party is involved or someone is given permission to intervene they also become parties to the proceedings. An appeal is a procedure which enables a person to challenge the decision made about their case by the Court. A brochure on the appeal process is available from all Family Court registries.